You can help us build a school for everyone that uses Pacific Island values as their base. 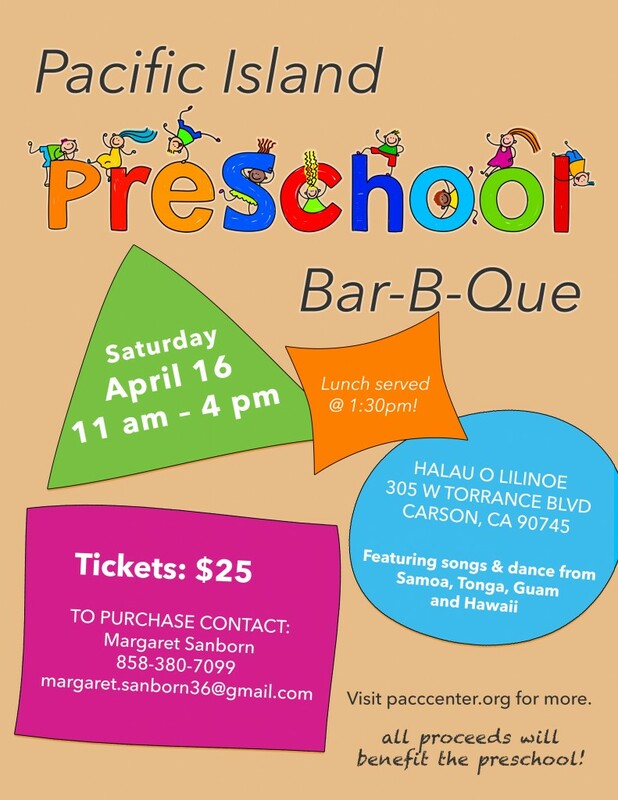 Enjoy an ono BBQ lunch and learn about the preschool PACCC is working to launch in the Carson area! There will be activities for the whole family, plus songs & dance from Samoa, Tonga, Guam, and Hawaii. Your BBQ plate lunch includes: chicken, ribs, brown rice, cole slaw, corn on the cob and baked beans. Tickets are $25 & all proceeds will benefit the preschool! This is a catered event, tickets must be purchased in advance. Can’t stay for the whole event? No problem! Take out plates will be available.